Steve Hinchman at Brunswick Landing, the site of MRRA’s microgrid. Photo courtesy Maine Public. 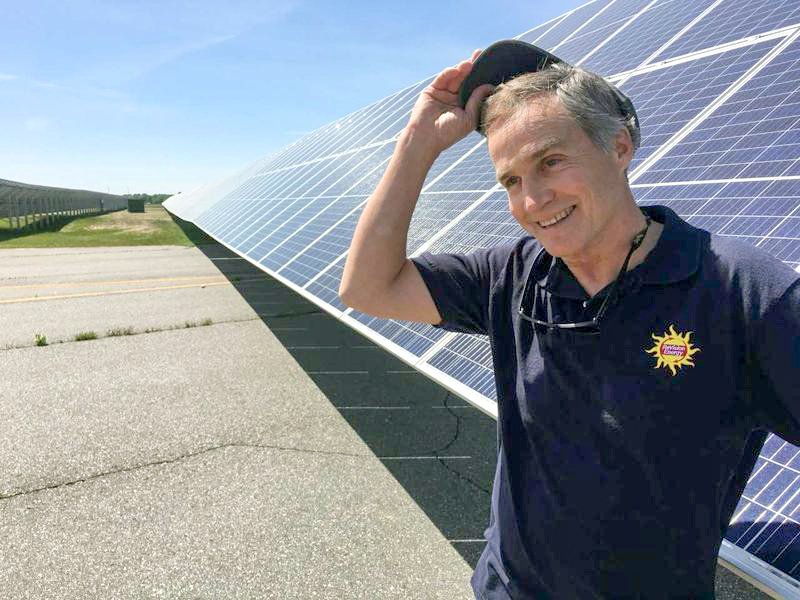 Via Maine Public, April 21, 2018 marked the first time in New England that the daytime electricity demand was lower than the overnight demand, due to the ever-increasing presence of renewables on the utility grid. “You are seeing the promise of a distributed, renewable electric grid in the charts and graphs coming from ISO-New England.